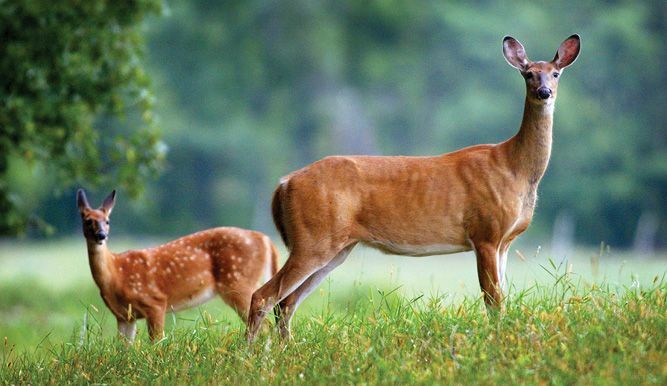 An infectious fatal disease known as zombie deer disease is rapidly spreading across deer populations in the U.S. and could infect humans, the Centers for Disease Control and Prevention has warned. Chronic wasting disease (CWD) has now been found in deer, elk, and moose across 24 states, primarily in the Midwest, and in two Canadian provinces. Like “mad cow disease,” the condition is caused by abnormal proteins called prions, and attacks the brain, spinal cord, and bodies of infected animals. Symptoms include stumbling, listlessness, drooling, and severe weight loss. There is no known treatment. CWD hasn’t been detected in humans, and there is no proof that people can be infected. But with as many as 15,000 infected animals eaten each year, scientists are growing increasingly concerned that the disease will cross species, the way “mad cow” spread from cattle to humans in the 1990s in the U.K. and elsewhere. “It is probable that human cases of chronic wasting disease associated with consumption of contaminated meat will be documented in the years ahead,” Michael Osterholm, director of the Center for Infectious Disease Research and Policy at the University of Minnesota, tells USA Today. “It’s possible the number of human cases will be substantial.” The CDC advises hunters in affected areas not to shoot or handle deer that look sick or act strangely, and to get any venison tested before eating it.